Making music with the crickets and the birds and my partner in crime Darren Ashley, usually posted up at the Dusun, a little rainforest resort one hour outside of Kuala Lumpur. I been making music under different flags for more than 15 years. Being affiliated with the Red Bull Music Academy. I just came back from RBMA Tokyo as an observing guest, sucking up all that creative juice and that memory will stay up in my mind forevaaaa… I feel inspired in so many ways. If it wasn’t for the fall of the Berlin wall I wouldn’t be where I am today. Dorian Concept’s new album Joined Ends. I left Europe a bit more than 5 years ago. I had a good run with Al-Haca, but things started to fade out and I wasn’t sure if I could continue. Now I don’t rely on music financially and I am a much happier person. It’s all just love again. I met Darren Ashley. I always enjoyed collaborating with other musicians. Not just for a song or two, but collaborating on a big project. 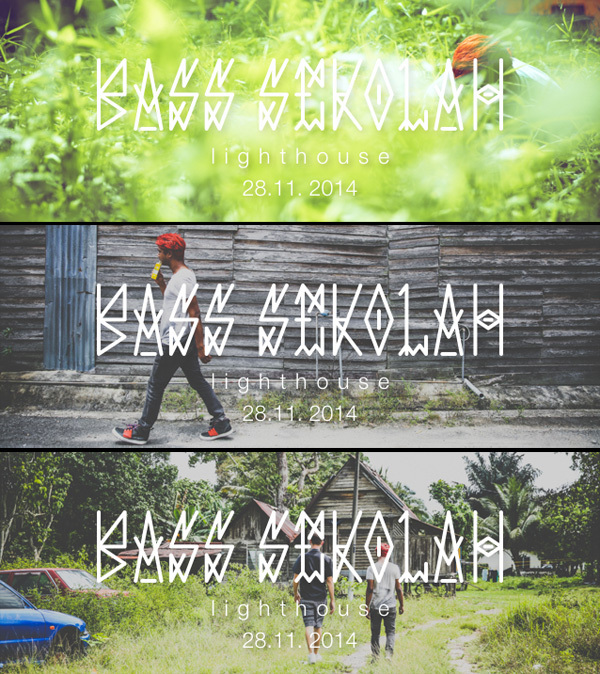 Bass Sekolah is the evolution of Al-Haca and all my creative work in the past and I see big things for this unique Eurasian collaboration. My big brother Steffen. I need to spend more time with him, but now we are simply too far away from each other. I should spend more time with my whole German family and the old friends over there, but traveling with the big brother would certainly be one great ride full of good chats, nice reads and lots of drinking. Take me to the waterfall nearby. Just one hour into the jungle. We could have a picnic there and jump into the cold water. Take me to a shopping mall. In Tokyo right after watching Fat Freddy’s Drop play their sold-out Japan debut show. A night of pure bliss and 6 AM ramen. My late grandma. She was always so kind to me and I was a big fan of her story telling. I also was a big fan of her cooking and I do have quite a few of her recipes. Come test me. I had to come up with a story about my latest lie, but couldn’t think of any. Why would I lie? Quite a bit of bad dance music. I copied lots of random music from lots of random people, because I had to leave all my vinyl in Europe and at some my old digital music archive got lost. Two hard disks stopped working and I had to stock up the archive. I don’t know how to keep this archive updated with only quality. A set of turntables. After that I shall rent a container and ship my vinyl collection over to Asia. My beautiful wife Haanim who just started a new festival related travel business (Festival Guide Asia). My music partner Darren Ashley, who is a huge inspiration to me and folks in the Asian scene, who help shape the creative landscape of the region (Syndicate from Singapore, Shelter in Shanghai, Dada Bar in Beijing, Arkham in Shanghai, The Beats Collective and DJ Jase in Saigon, the B-Side Family in Manila, BTC crew and Gothtrad in Japan, my man Nick from Hydra Tokyo, Ashram crew in Jakarta and Juice Magazine in Malaysia) There are many more, but the list is getting to long. I also have to go now, because the rain is coming and I need to close the blinds or my whole house will be under water. Monsoon time…..